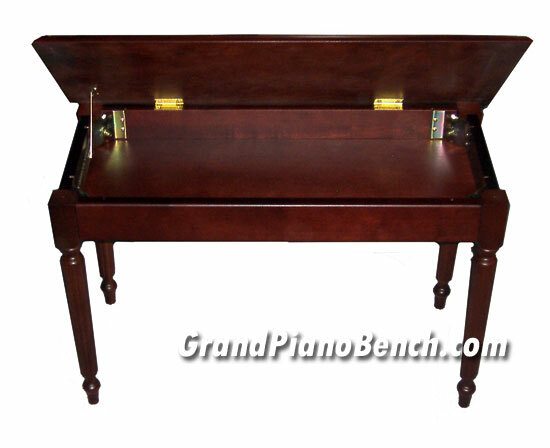 This beautifully crafted imported upright piano bench features a wooden top that is veneered with Genuine Mahogany or Walnut, and is equipped with brass plated hinges and lid supports, as well as felt pads for the bottom of the legs to protect your floor from damage. 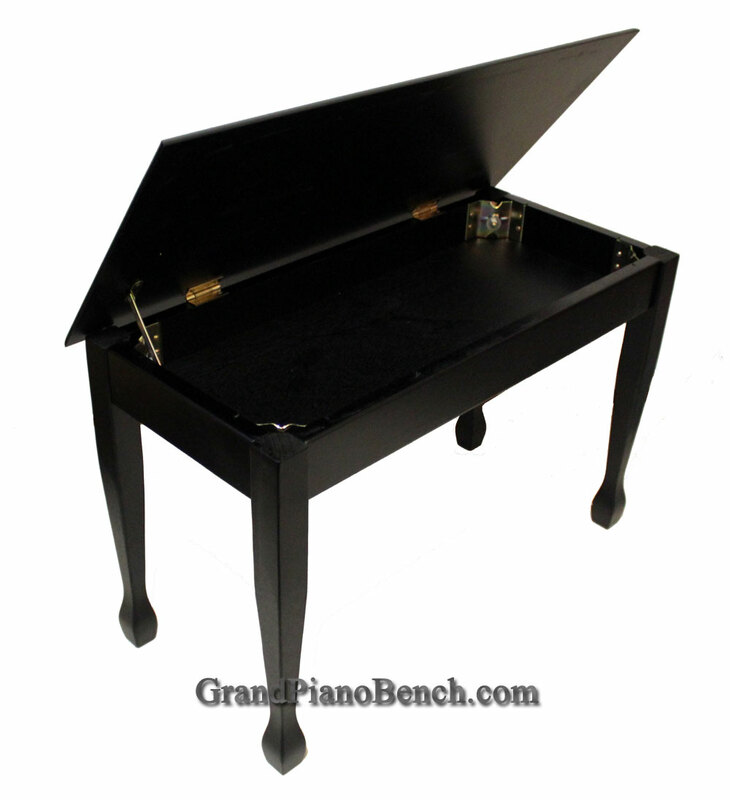 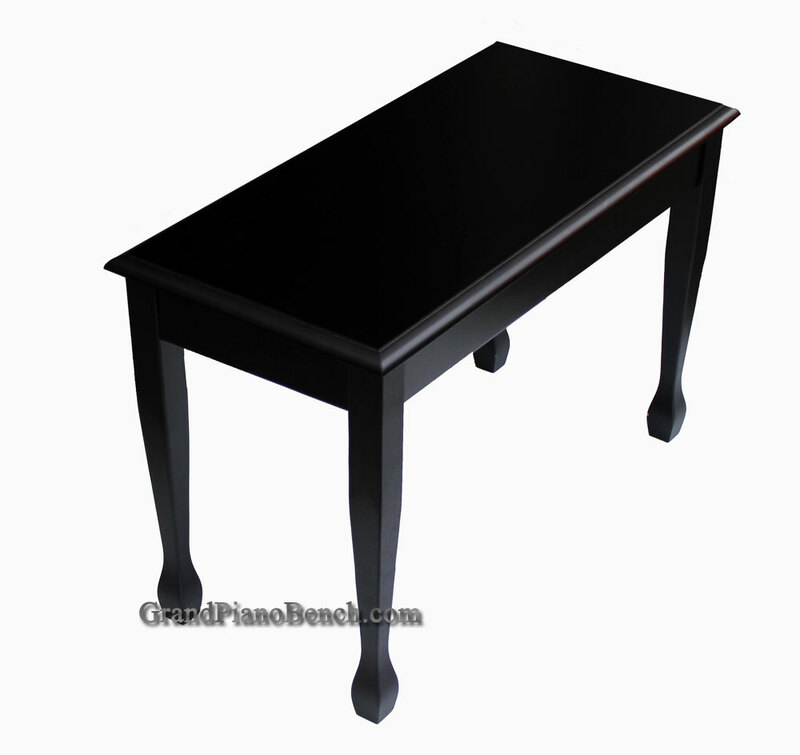 There are a number of affordable, foreign import wood top piano benches available these days, and out of all of those available on the market, we recommend this bench. 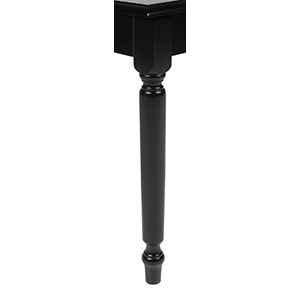 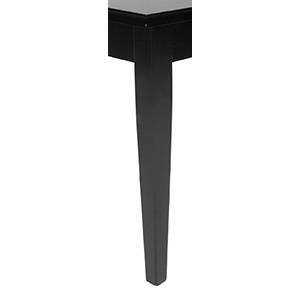 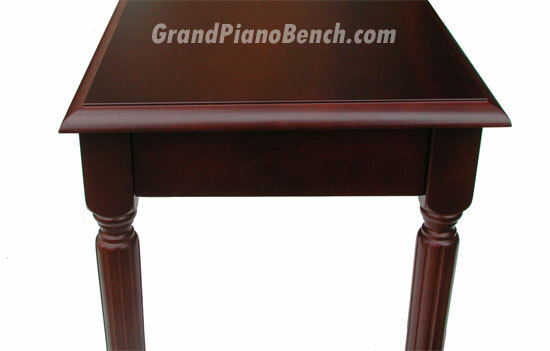 It is much more durable than the typical imported piano bench, which is exemplified by the fact that the bottom of the bench is routed in for strength (meaning it is inserted into a groove in the wooden frame, instead of stapled on). 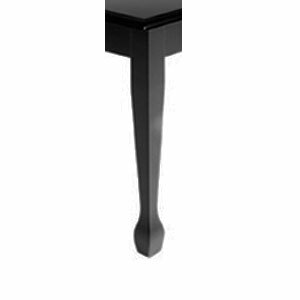 This adds to the structural stability.